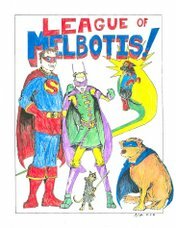 League of Melbotis: So, where's the post today? Hey, as non-posts go, that's a winner! I'm doin' the aaoogah-hello-nurse thing.